Here in Harrisonburg, at 6:30 this evening, Senate Republican candidate Jamie Radtke and House Republican candidate Karen Kwiatkowski spoke at a gathering entitled “A Question of Liberty”. This event was both hosted and sponsored by a local high school student by the name of Emily Morris. As the label of the forum indicates, each of the two candidates spoke on the issue of liberty, explaining her vision to reform the federal government in Washington. 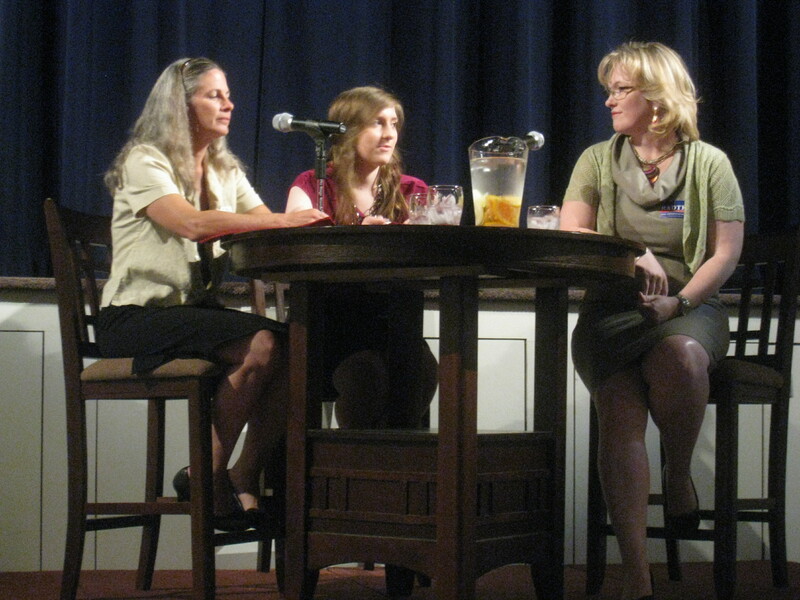 After brief introductions, the host fielded questions from the audience that covered a wide range of matters such as: cutting spending and the deficit, abolishing federal agencies and departments, immigration, foreign policy and the necessity for the declaration of war, abortion, the future of social security, and state sovereignty and federalism. Not surprisingly, both Radkte & Kwiatkowski seemed to be in relative agreement on just about every issue discussed. However, two area of difference appeared over the subjects of drug decriminalization and homosexual/state-sponsored marriage. While Kwiatkowski took a sort of laissez-faire or hands-off approach to these questions, Radtke supported a more traditional social conservative line of thinking. At first, this report of general consensus may not be too surprising given that they are both Republican candidates. However, it is also true that there is also a widening gulf between Republicans over the matter of liberty and adherence to the Constitution. After all, just because a candidate is labeled as an “R” on the ballot, that little letter does not necessarily mean that he or she supports a certain policy position. Far too many politicians of both parties treat the Constitution like a novelty of a bygone age than the actual framework of the law of the land. Overall, the event should be considered a success. It seemed to generate considerable enthusiasm from the audience, at least judging from the applause and level of participation in questioning. Special recognition should be paid to the organizer, Emily Morris. If all students throughout the Commonwealth were inspired in the same way to promote political dialogue, imagine how our both government and our society would be transformed. It is terribly unfortunate that the average citizen doesn’t take the time and interest to be actively involved in the process. We race at a seemingly breakneck speed toward the June 12th primary. On Tuesday, will voters select candidates like Radkte and Kwiatkowski who cherish the ideals of liberty? Let’s hope so. Previous PostPrevious Vote Radtke on June 12th!